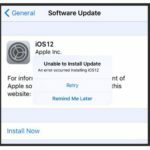 iOS 12 is a major update to Apple’s mobile operating system, and it’s packed with new and useful features that can any iPhone, iPad or iPod touch better. 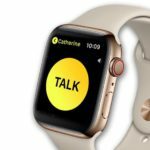 At this point, you’ve probably heard about performance enhancements, Screen Time and Siri Shortcuts. 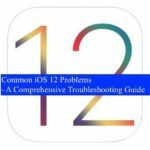 But iOS 12 is actually packed with smaller but no less useful features that can make your iOS experience a bit better or easier. 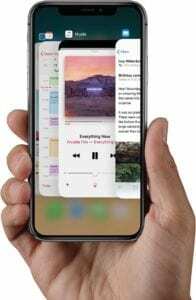 The new gesture-based controls introduced with the iPhone X are easy and intuitive to use. But there was a weird quirk with the iPhone X that made closing apps a bit trickier than usual. Essentially, you had to press and hold on an app stack to close an app in multitasking — just swiping up wouldn’t work like it had on every iOS device thus far. Thankfully, in iOS 12, swiping up on an app in multitasking does close it. 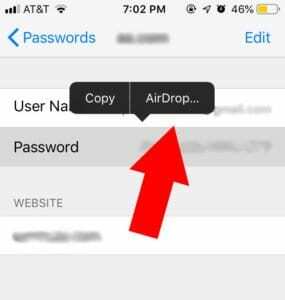 You can now AirDrop a password to another device in iOS 12. This can come in handy if you need to login to an account on your iPad, but the password is stored on your iPhone. And it’s also extremely easy. Go to Settings —> Passwords & Accounts. Just tap on an account and it will bring up an interface with the username and password. Just tap and hold on the password to bring up an AirDrop icon. When you AirDrop it, it’ll automatically be sent to the keychain of that other device. App updates are an essential part of the iOS experience, as they keep the software running smoothly and securely. Unfortunately, app update reminders and notifications quickly become annoying. 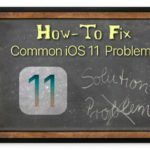 In iOS 12, you no longer have to worry about it. 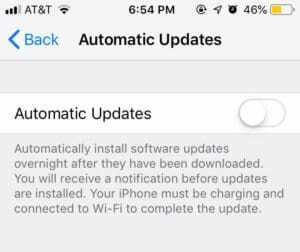 If you navigate to Settings — > General —> Software Update —> Automatic Updates, you can set iOS to handle software updates automatically when a phone is charging and connected to Wi-Fi. Favicons, those little icons that help you identify a site open in a tab, are undoubtedly useful. But, for some reason, they’ve always been absent from Safari on every macOS and iOS version thus far. That is, until iOS 12 and macOS Mojave. Favicons are supported in Safari in the new updates, but they’re off by default. Just navigate to Settings —> Safari and toggle Show Icons in Tabs to turn them on. Here’s a scenario: you want to find a song, but you only know a line or two of its lyrics. Previously, you’d probably just try and Google it. But iOS 12 makes it easier to do without ever needing to open a web browser. 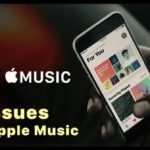 Basically, you can now search for songs by lyrics in Apple Music in iOS 12. 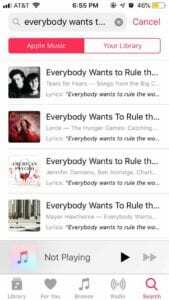 Just tap on the Search icon in the lower-right, tap the search bar, and type in your lyrics. You should see relevant song pop up when you enter them. 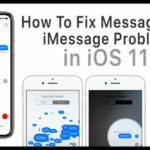 In iOS 12, it’s now a lot easier to call or FaceTime someone you’re texting with. 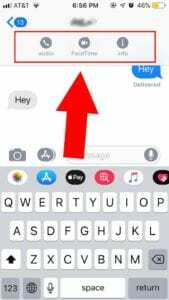 Before, you needed to open the Contact card by tapping your contacts name at the top of the Messages app. Now, when you tap your contact’s name, it’ll bring up an additional menu with quick access audio call and FaceTime buttons. Don’t worry, you can still get to the Contact card by tapping on the “i” Info icon on the right-hand side. Notification Grouping is arguably one of the best features of iOS 12. It helps to cut down on notification clutter, and was one of the primary advantages that Android had over iOS. While Notification Grouping is on by default, it’s not an all-or-nothing affair. 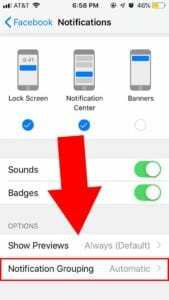 If you search under an app’s notification preferences in Settings, you can actually pick and choose whether or not notifications from that app will be grouped. Apple’s Face ID authentication system is secure and accurate — for the most part. Sometimes, if you change your appearance drastically enough, Face ID will fail to recognize you and unlock your device. 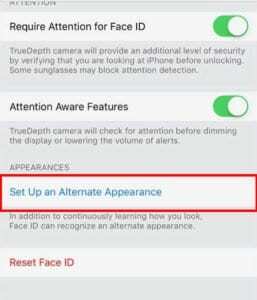 Thankfully, Apple has added the ability to add an “Alternate Appearance” to Face ID. This is great for adding an appearance of you in makeup or wearing glasses — or perhaps, for letting your significant other have access to Face ID. You can find it in Settings —> Face ID & Passcode. Scanning QR code has always been slightly difficult on iOS. At least, until iOS 11 introduced a QR code scanner embedded in the Camera app. Now, the feature is getting even easier to access. A QR Code Scanner is now a quick option for a shortcut in the highly customizable Control Center. 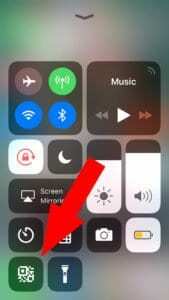 You can add it by going to Settings —> Control Center —> Customize Controls. Do Not Disturb is a must-have when you’re in an important meeting or just heading to the movies. But having to manually enable and disable it is a bit clunky — particularly if you forget to turn it off. Luckily, iOS 12 adds some additional options that make Do Not Disturb more seamless and powerful. Just open Control Center and 3D Touch or long press on the Do Not Disturb icon. You’ll have the option of Do Not Disturb being automatically disabled by time or location. Two-factor authentication is strongly recommended whenever it’s an option — it adds an extra layer of security to your important accounts. But it is, of course, also a tad more inconvenient than simply logging in. iOS 12 streamlines the process. When it detects a text message with a 2FA code, it’ll ask you if you’d automatically input it into the relevant field (so you never have to leave the app you’re in). This feature may be a security risk, so make sure to read our piece on it to keep yourself secure. Apple’s security-focused updates are among their most important, even if they’re not the most exciting. 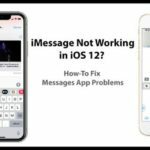 And iOS 12 is no different since it packs a new feature that can thwart iPhone hacking tools. 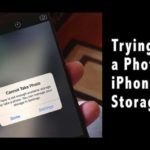 It’s called USB Restricted Mode and it basically locks down data access via the Lightning port when your iPhone has been locked for an hour. You should enable it, and you can do so in Settings —> Face ID & Passcode —> USB Accessories. Liz, You should be able to download it again from the app store.